Our good friends over at leading Betfair software producers, Racing Traders have kindly provided us with some excellent preview material ahead of this summer’s Euro 2016 tournament. Football fans might be having their normal ‘end-of-season’ withdrawal symptoms with the main league and cup action over, but they don’t have to wait long before they can get back their ‘football fix’ as this summer we’ve got the small matter of Euro 2016 to keep punters ticking over. Yes, we get rolling on the 10th of June as the hosts, France, kick things off with their opening Group game vs Romania – then it’s full steam ahead with three group games on most days right up until Wednesday 22nd June – girlfriends and wives are not going to like it! So to help you along the way, and to keep you prepared for each game, here at RacingTraders we’ve taken a ‘quick-fire’ look at each group clash from a HEAD-TO-HEAD angle. ALBANIA are the rank outsiders with very few household names. Qualified second in the group to Portugal so are obviously useful but despite being tough to breakdown, they will be vulnerable at this level. FRANCE the hosts have won a World Cup and The Euros on their own soil before. Under Deschamps they are now playing as a team and have a good blend of youth and experience. Rightly, the favourites to win the tournament but the pressure will be on. ROMANIA conceded only two in qualifying where they were unbeaten. Scoring will be their biggest problem but some of the bigger sides might want to avoid them if they reach the knockout stage. SWITZERLAND were second in England’s group and won seven games. The game against Romania is the key as the winner of that should qualify. ENGLAND always under-priced due to the amount of money placed on them at home. Qualified easily and should make quarter finals at least but have a habit of going out when they should go further. RUSSIA are another team hard to weigh up on form. England and Wales will both fancy beating them as Austria beat them twice but the suspicion is that they will under-perform. SLOVAKIA have a couple of seasoned pros but on the whole lack the experience at this level and may be too dependent on Hamsik, Nemec and Skrtel. WALES will not lack for togetherness as the team are a tight unit with Bale the superstar. Could easily qualify and then who knows. If Bale is on song they can dream! GERMANY would be favourites if it wasn’t for France having home advantage and the current World Cup holders are a solid experienced outfit capable of beating anyone in any given game. I cannot see them not making at least the semi-finals. NORTHERN IRELAND will love every minute of this and if showing the same fighting spirit that got them here, could get out of the group. Germany will be tough but they could get results off the other two. POLAND could be too reliant on Lewandoski but did come through a tough qualification and really should finish second in this group. Plenty of experience should see them reach the knockout stages. UKRAINE are difficult to weigh up, no superstars but a solid team who will probably suffer from a lack of goals. They will need luck to qualify. CROATIA gave Italy a run for their money in the qualifying and could easily go under the radar here. Some quality players in their squad, a mean defence and probably a side nobody wants to meet in the knockouts. CZECH REP won their group convincingly scoring plenty of goals but they do concede a lot and that may be their downfall. SPAIN are the defending champions and will again be in the mix. Lack of a top class out and out goalscorer may be their weakness but they have plenty of quality and are likely winners again. TURKEY qualified as the best third placed team and are another team who may find goals hard to come by. The group is wide open behind Spain so no forlorn hope. BELGIUM are many people’s fancy to win but my concern is that there may be too many individual superstars and as with the Dutch in the past, it can cause problems in a team game. If they do click they can be a match for anyone but it’s a tough group. ITALY are always there or thereabouts in these tournaments and can never be written off. A solid defence will be their basis and they are masters at getting through. Would be dangerous to ignore. REP of IRELAND will lack nothing for passion and experience but they don’t have the class to go far. Could cause a couple of upsets but will do well to make the quarter finals. SWEDEN rely too much on Ibrahimovic and only qualified through the knock-outs. I don’t believe that any side reliant one one player can win it but they could cause problems in the group stage. AUSTRIA topped the group that included Russia and Sweden winning away to both of those in an unbeaten campaign. Inexperience may be their undoing but they will be tough to beat. HUNGARY were third to Northern Ireland and Romania but beat Norway in the play-offs, Whipping boys who will do well to get a point. ICELAND finished second to Czech Rep in a group with Netherlands and Turkey beating the Dutch twice. They have a solid defence but probably just lack the class. PORTUGAL are seen by many as too old and too reliant on CR7. Lost just once in qualifying and they are always a dangerous opponent, especially in the knockout stages. This should be a cracking tournament and with only eight sides not making the knock out stage, all teams will fancy their chances of reaching that far and if you are backing one of the outsiders, once they get to the round of sixteen anything is possible. It is impossible to ignore the chances of France in front of their own fans but that may also count against them as the pressure will mount and Germany who are the current World Champions look sure to reach the latter stages. Of the fancied teams I think Spain and Italy are more value and are likely winners. Spain now know how to win these tournaments and will be organised whilst Italy can produce a result even when playing badly. I don’t fancy Belgium as I don’t think they will stick together if things get tough and England will more likely implode than win it and are shocking value to bet on. At a slightly bigger price I can see Croatia going really well although they may have to overcome Italy or Belgium in the round of sixteen. I think Spain, Germany and Italy should reach the last four and I have a feeling France will struggle at the later stages due to their lack of “real match” game time as they qualified automatically. Spain to win for me, Croatia and Italy ew and let’s hope for lots of goals. Get all the latest news. 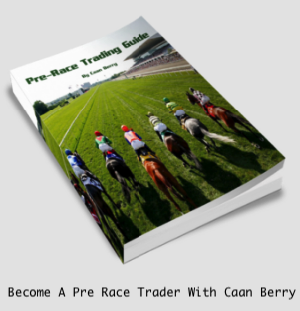 views and offers direct from RacingTraders towers with the latest edition of The Scalper. This month’s issue of The Scalper has the launch of our brand new videos only website, racingtraders.tv, 2 for 1 BetTrader special offer, the BetTrader sponsored Kabaddi World Championships, chat forum competition winners, 2 ways to win a free month on BetTrader and this week’s webinars. Carry on old fruit.